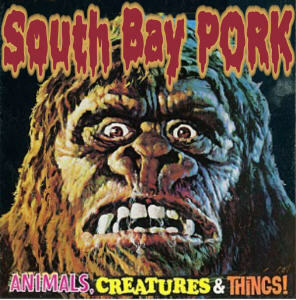 Rootin’ around and combin’ through the garage punk archives, I rediscovered a dandy ol’ show called Southbay Pork. Episode 21 was an attempt to explain the hiatus. Apparently, he was kidnapped and dropped in the woods, and spent the year living with the Bigfeet and couldn’t escape. He plays lots of music about the primate species, and ends it with music to celebrate his triumphant return home. Towards the end, he starts playin’ some weird stuff, but that makes it all the more fun. This entry was posted on April 22, 2013 by Zorch Radio. It was filed under Audio .